Elegant and refined, the Pharmacy Swing Arm Desk Lamp fits perfectly into a contemporary interior. This piece features an extendable arm, 360° rotating head and full range electronic dimmer. Crafted by specialist lighting studio Casella – an artisan collective with over 75 years of experience. 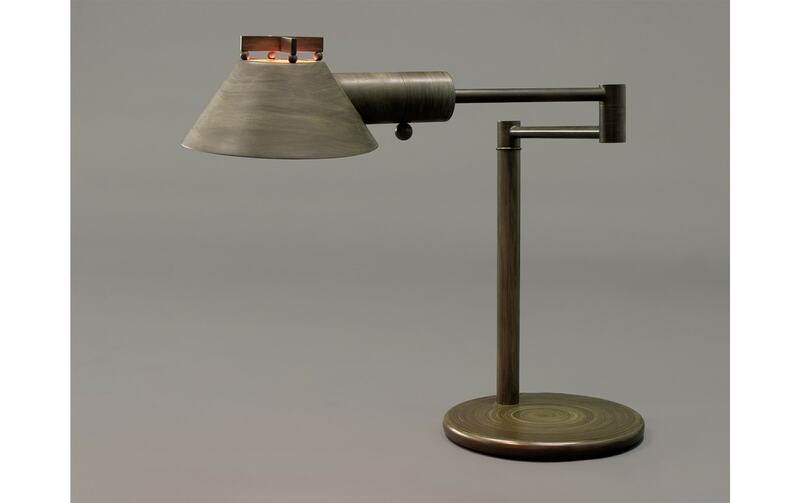 This lamp comes in over 20 dazzling finishes, including Rustic Bronze, Satin Brass, Polished Nickel and Antique Pewter.